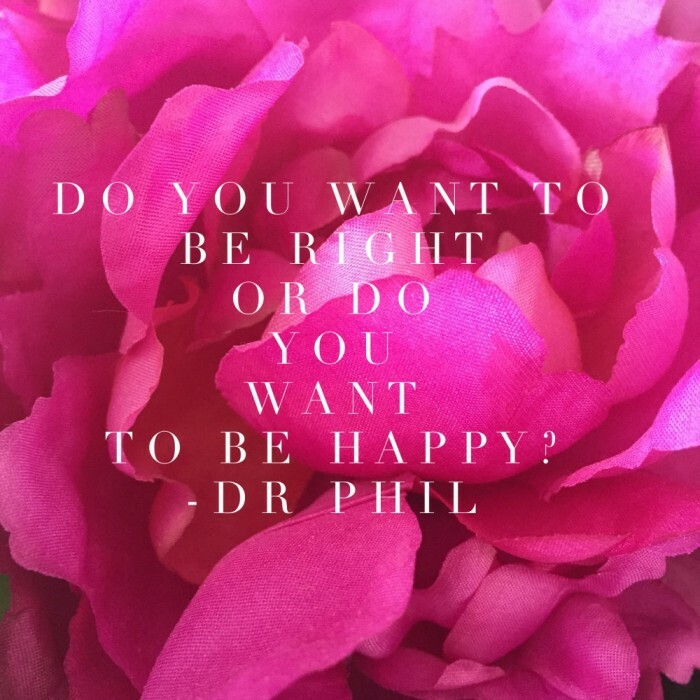 Wednesday Words of Wisdom – Right or Happy? Some people always think they’re right. Even when I know they’re not. In the olden days, I would have gone to great lengths to exert my righteousness, even if it left me with frayed endings, knickers in knots and one or both of us with hurt feelings. Since I’ve channelled my inner Elsa and let things go, my knickers are not knotted, my nerve endings are not frayed and everyone is happy. And on the inside my inner righteousness shines bright. It’s been game changing, I tell you. So tell me, which do you choose, right or happy? Do you have someone in your life who thinks they’re always right, even though you know they’re wrong?